Let me just sat that the styles in Dior Sauvage Cruise 2018 Collection last week were out of this world, in a good way. If you were interested in going, there are some upcoming shows in Kyoto, New York, and Florence by the end of this month, pretty sure it’s by invitation but it’s always fun to see what the designers come up with in the most recent articles by Vogue. By now, you probably know that I love everything that has to do with the Southwest and Native American culture. With that said, it seems like Dior agrees, which is always nice to be validated. Here are just a few of the styles that made their debut last week on the runway. 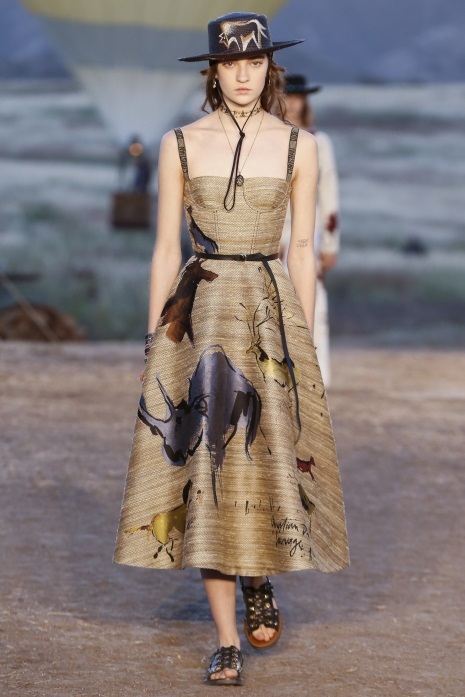 The theme of the event was entirely Southwest chic from Dior’s top designers. The color palette reminds you of the old western styles but the cuts are all modern and the designs give you a little Native American twist (first image). To me, these pieces perfectly marry two radically different concepts, old and new, to give you something really cool. I loved how the designers play with the motifs that most people are familiar with but also do something completely different. even the high-end ones will be getting with this trend later in the year, that’s how it always works. The other bit of good news is that I know exactly where to get jewelry pieces that will go well with your new Southwest wardrobe. After all, that’s what my blog is about. Turquoise is a must for Southwest, it lines the streets of the region (kidding) but you get the idea. You’ll need jewelry that displays prominently when you start investing in the style. I recommend either turquoise necklaces or bolo ties. The second image on this blog is an outfit that would absolutely look stunning paired with a turquoise bolo. Native American multi-stone jewelry is another solid choice for your Southwest attire. Tribal artists have mastered setting different gemstones into sterling silver. Where one color might overpower your outfit, multicolor jewelry might complement it instead. Finally, something that will have a huge impact on the look and feel of your Southwest style is Southwestern belt buckles. A popular style seen in the fashion show featured longer cuts, with a leather belt to refine the curves of the waist. Having an accent piece, like a sterling silver belt buckle, would take your outfit to the next level. The styles of the Southwest region are beautiful and I’m glad to see modern designers are taking it back into their hands in new and exciting ways. I look forward to seeing more from these and other designers and thanks again for tuning into my humble blog!